Description: The painted turtle has a smooth and attractive shell with red, yellow, and/or black patterns which makes this turtle easily distinguished from other species. The carapace (top of shell) is unique due to the large scutes which lay in straight rows across its back. Males can be differentiated from females by their longer foreclaws, longer tails, and more depressed shells; males are also usually smaller than females. 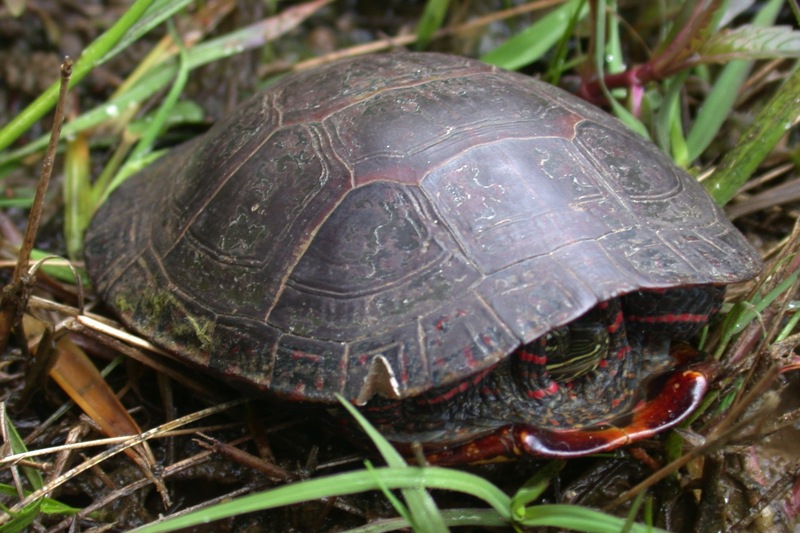 Adults range from 4.5 to 8 inches (10-18 cm) in carapace length. 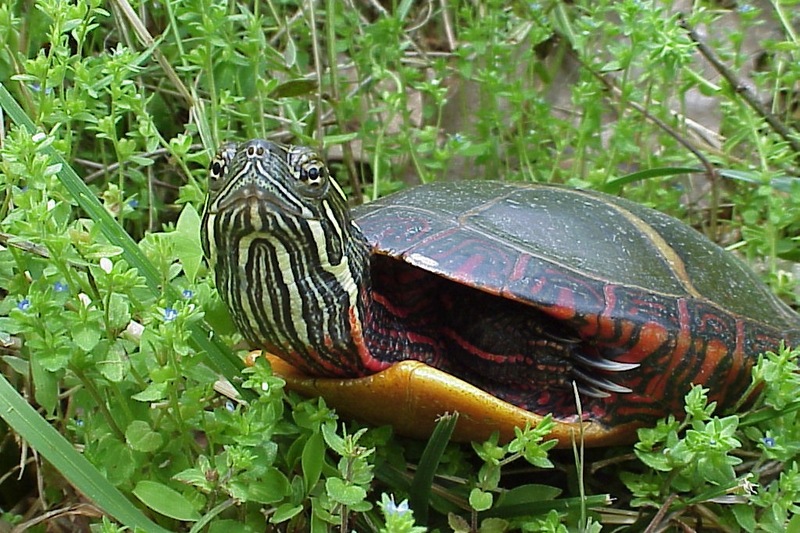 Feeding/Diet: The painted turtle is omnivorous. Juveniles are more carnivorous than adults, and feed heavily on aquatic invertebrates. Adults eat both aquatic plants and animals, along with carrion. 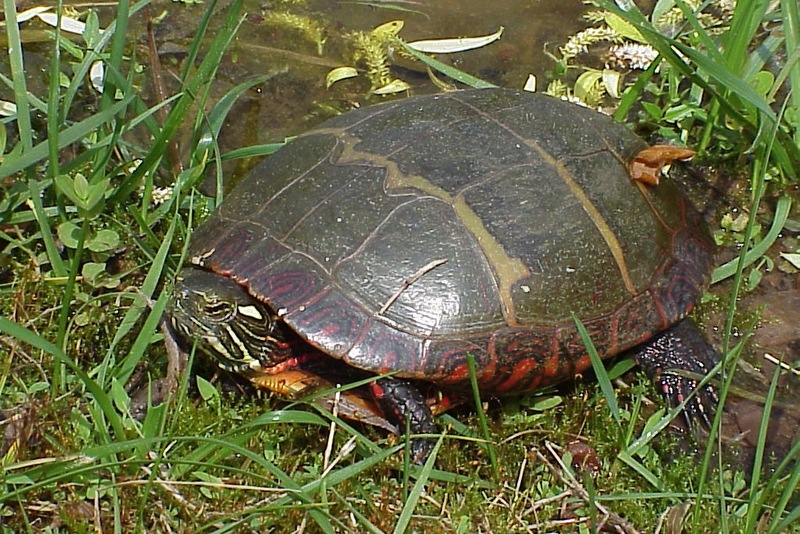 Activity/Behavior: Along with sliders and cooters, painted turtles are the conspicuous basking turtles of the state. They do occasionally wander on land, and, as a result, are often hit by motor vehicles on roads near water bodies. They have been observed in North Carolina during every month of the year. 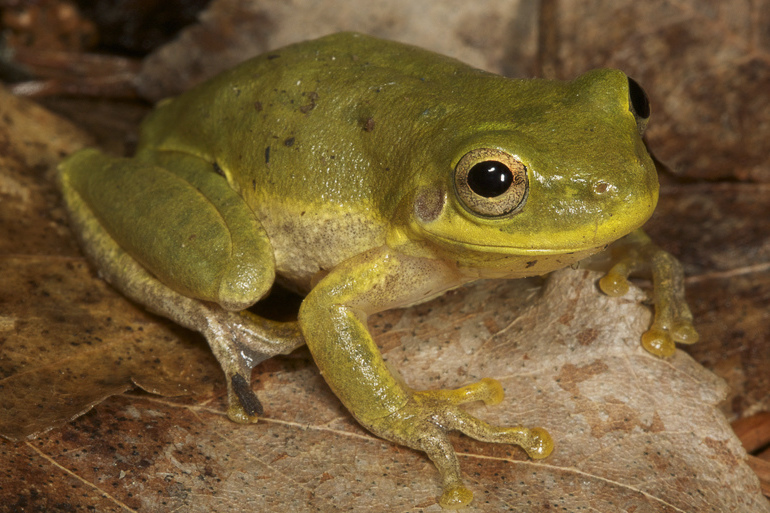 Habitat/Range: This species prefers ponds, lakes, marshes, and other bodies of still to sluggish water. They also prefer soft bottoms and abundant aquatic vegetation. 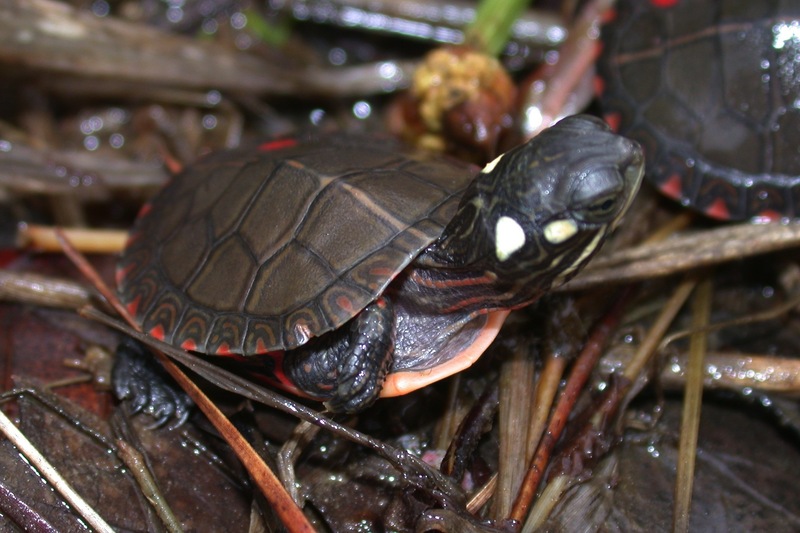 Reproduction: Painted turtles typically mate in spring and deposit their eggs in early to mid-summer. Clutch size ranges from 1 to 11 eggs. Hatchlings commonly overwinter in their nests and emerge in the spring. Miscellaneous: In northern parts of their range, painted turtle hatchlings are known to literally freeze in their nests during the winter and thaw out in the spring. 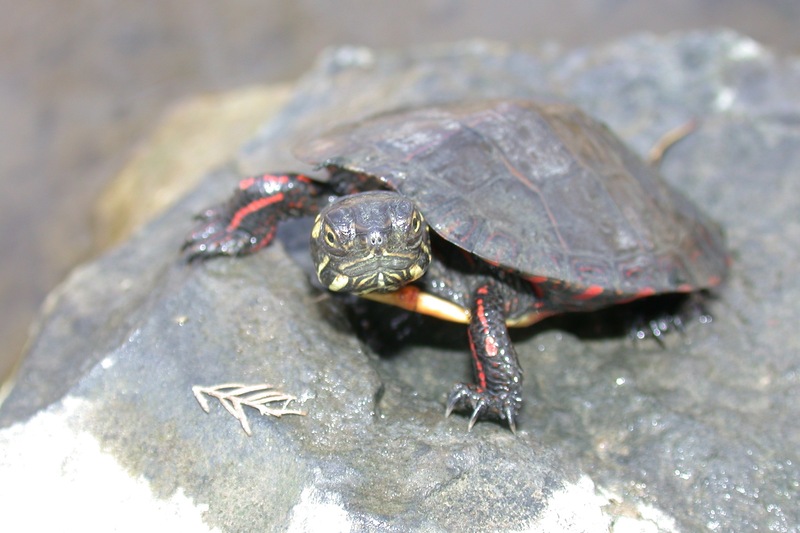 Along with diamondback terrapins, painted turtles are the only known reptiles that can withstand freezing. 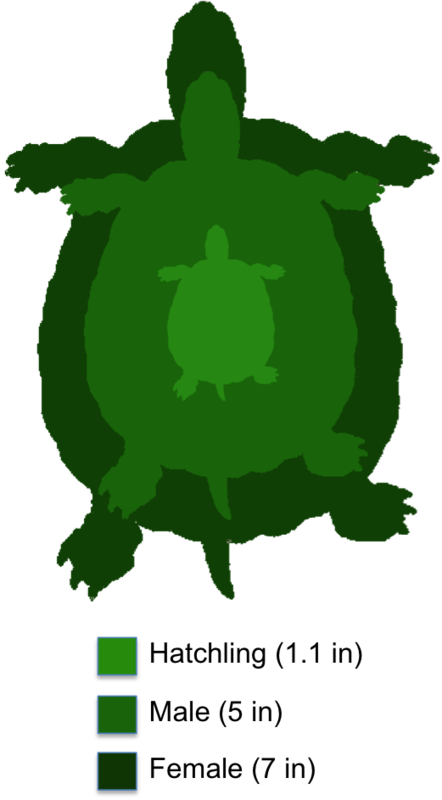 The shaded region represents the range of the painted turtle in North Carolina.